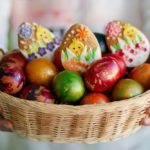 Start stashing away your recycled paper and toilet paper, paper towel, and wrapping paper rolls. 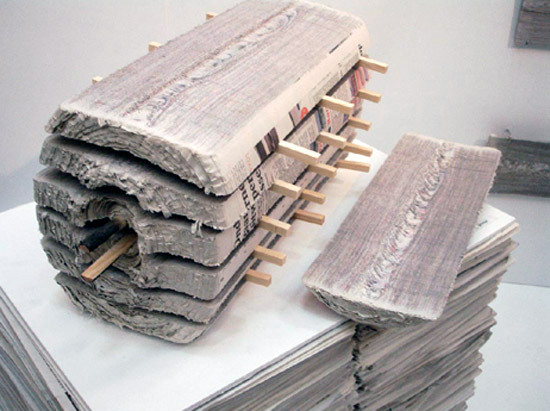 Newspaper Wood is a VERY elegant and clever super cycled material. 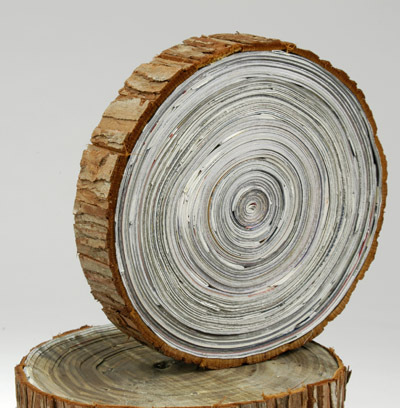 Using a roller, pages of old newspaper are wound together very tightly to resemble a log of wood. Special water soluble glue is used to adhere the pieces of paper to each other. The end result is a material which carries similar characteristics to that of wood and can be cut, milled and sanded. What do you think? Instead of being thrown away and stored in a landfill, would you believe that a few nappies could be recycled into one roofing tile? The recycling process turns the waste into plastic and cellulose organic residue for green energy. Organics may become paper or be burned to produce electricity. The absorbents can be re-used for other packaging, or perhaps even go into the next generation of nappies. 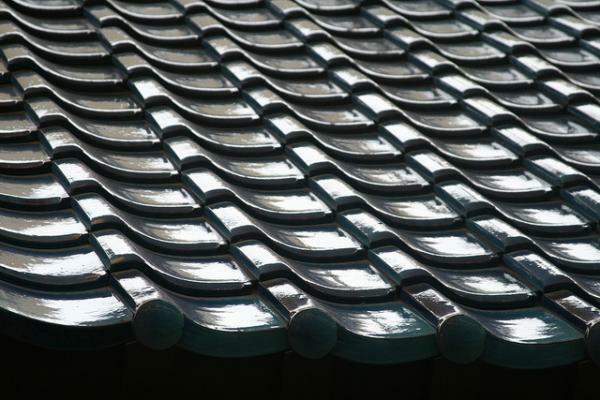 Plastics might be formed into a variety of forms, including roof tiles or plastic wood, for decking and/or cladding. Plastic bags, plastic bags, plastic bags. 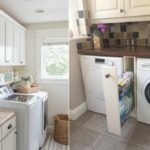 Since they don’t seem to be disappearing any time soon, designers keep coming up with new techniques to recycle them. These decorative blocks are made from waste bags and retain their shape via exposure to high heat, forming an interesting block. They can be used for in and outside applications such as a recy-block wall, sitting elements or just as a remarkable decoration element by itself. If the idea of wasting natural resources gets your blood boiling, we’ve got a building material that’s in just the right ‘vein’. While it’s a bloody good idea, it’s still in experimental stages. If the idea of living in a house made with blood bricks makes you squeamish, remember that animal byproducts have been used as building materials, such as glue and plaster, for centuries. How about you? 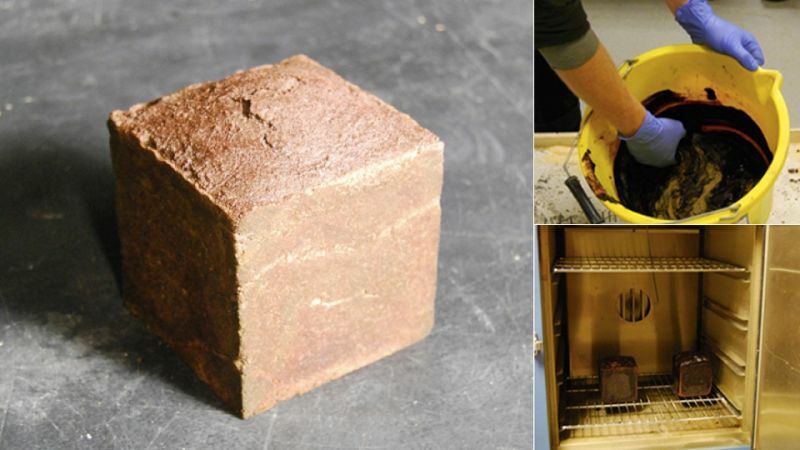 Would you live in a house made with blood bricks? 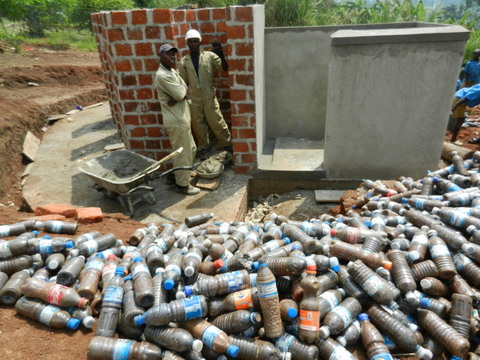 Converting plastic bottle to bricks has been a lifesaver in the developing world and had allowed them to build homes in a cost effective way. Plastic Bottle Bricks can convert everyday plastic materials into a useful building material. 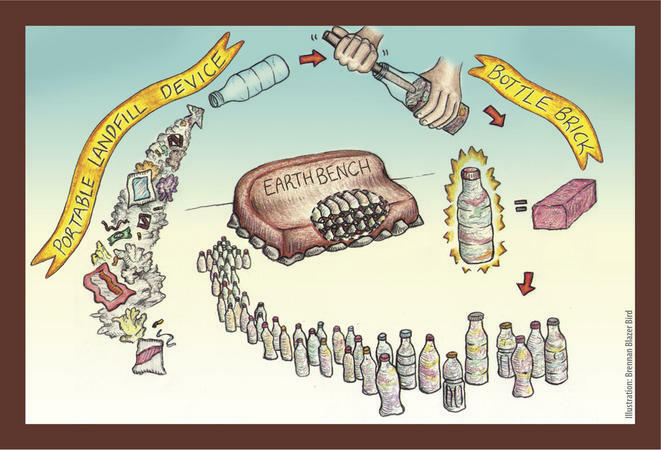 The plastic bottles are stuffed with trash until they are as compact as bricks. 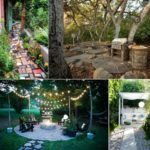 Bottle Bricks have been used to build houses, school buildings, and other structures for well over a decade in Latin America and they are now increasingly being used around the world as a viable way to clean up the environment; prevent plastic pollution; and create a much needed building material. 6. Wine Cork Panels. For Flooring and Walls. 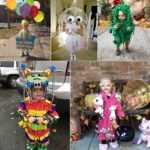 Recycle and Upcycle! 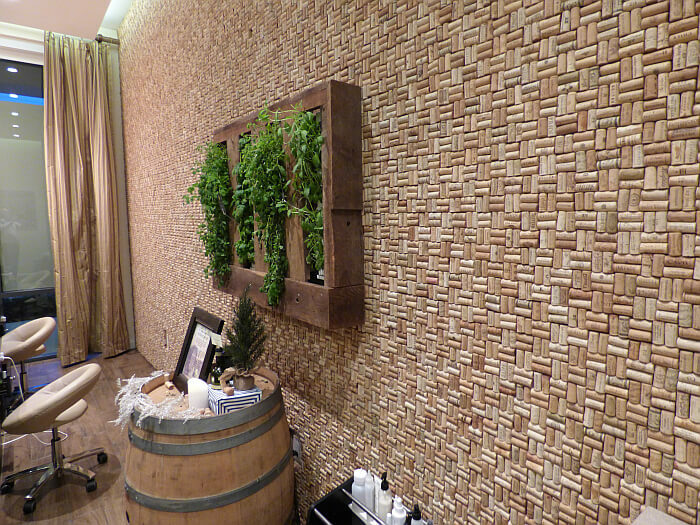 Make Stylish Flooring with wine cork panels. 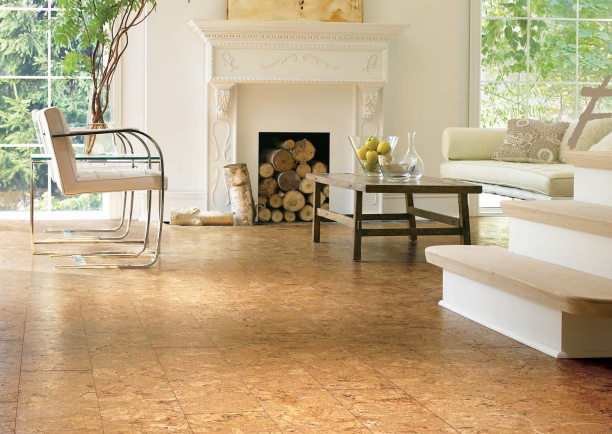 Penny tiles are a popular look for interior flooring. 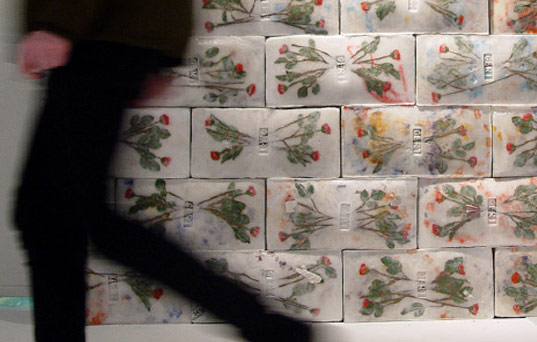 While ceramic and glass are often used to make tiles, these beautiful penny tiles, are cut from recycled wine corks. Cork is pretty versatile, given its credentials as a renewable material. 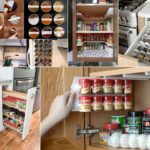 Also it’s an excellent insulator & sound absorber, hygienic, anti-static, anti-allergenic, water-resistant, doesn’t entrap dirt or fungi, won’t chip like ceramic when you drop something on it, plus it is easy to maintain. Plasphalt is one of the latest and greatest inventions that could help save the modern world and reduce our impact. Recycled plastic pieces are mixed in with asphalt and are then used in order to create paved ways and roads. 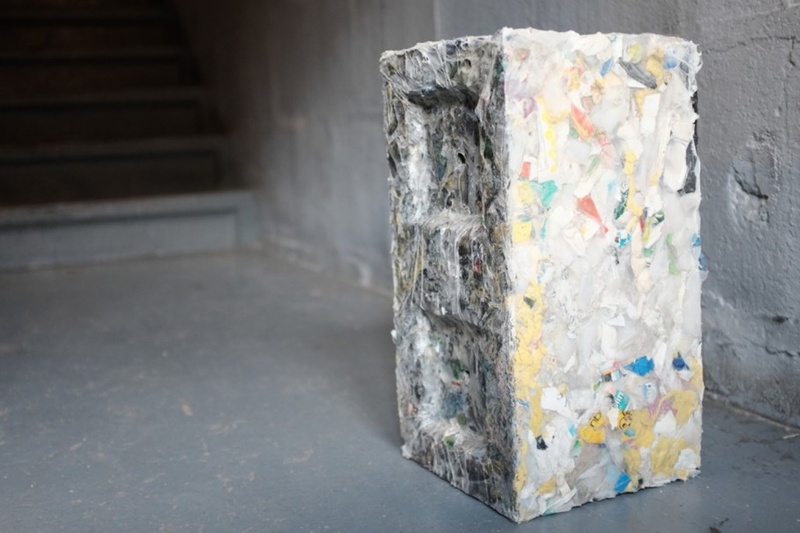 In more detail, Plasphalt is made up of grains of plastic produced from unsorted plastic waste, which replaces the sand and gravel usually used in asphalt production. 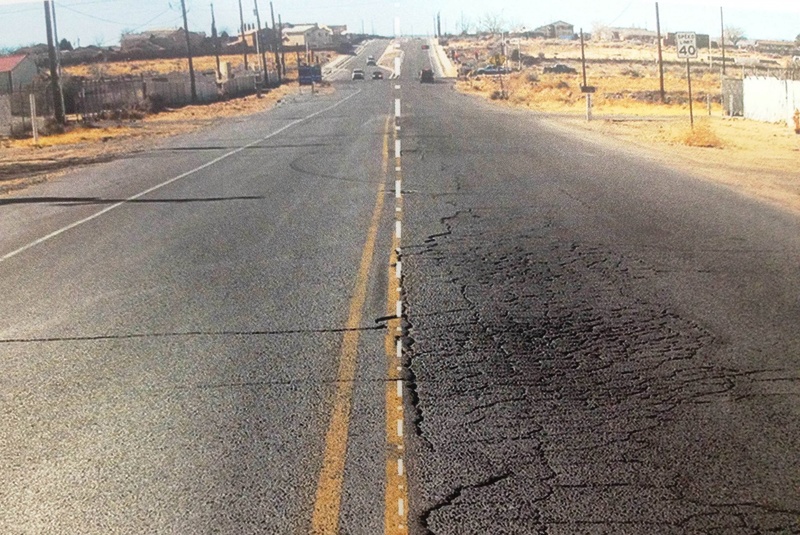 In testing, it was found that Plasphalt roads were far less at risk of wear and tear than traditional asphalt, because the asphalt emulsion bonded better with the plastic than with gravel or sand. The bit on the left is plasphalt, the bit on the right is asphalt. Image: TEWA. Mushrooms are good to eat, but their roots may be far more important to mankind. 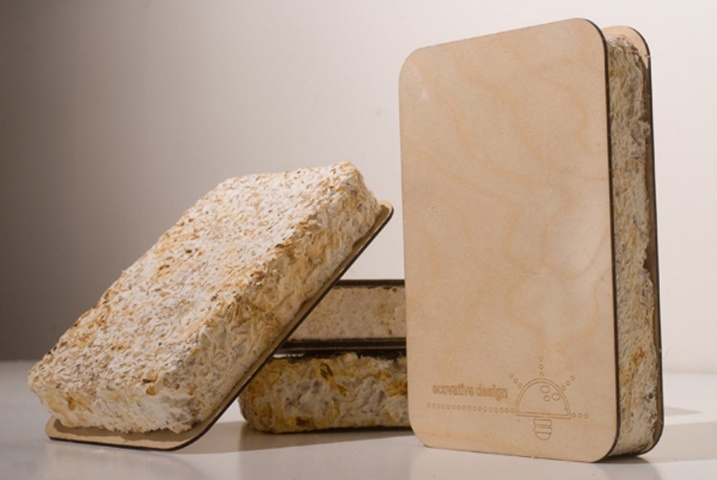 They can be used to make mushroom based building materials that are stronger than concrete, have more insulating power than fiberglass, and are completely compostable. Talk about your magic mushrooms! To get off on the right foot, it’s not really mushrooms we are interested in. More their maze-like roots, known as Mycelium, a fungus that converts hydrocarbons into carbohydrate chains. It can be injected between an interior and an exterior wall, where it will grow silently in the dark and become so strong the wall will need no internal metal or wooded studs to support it. 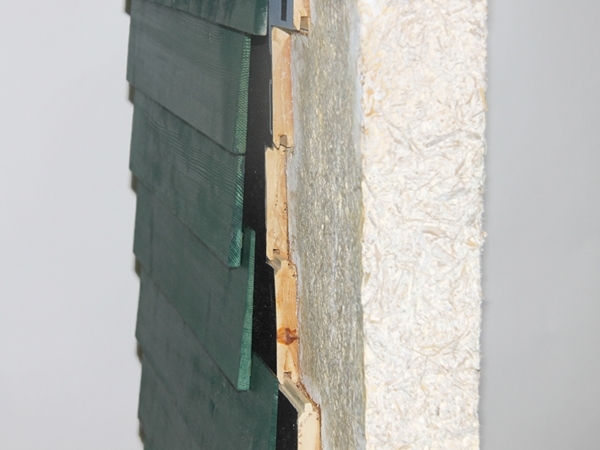 The Mushroom Material products look like particle boards but actually contain no wood. They are cheaper, lighter and stronger and are 100% compostable when they reach the end of their useful life. There are thousands upon thousands of ways to go green and incorporate recycled materials in your building project. 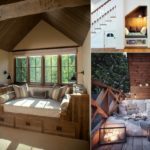 What do you use to say green when building or finishing your home?